The JavaJug2™ is a companion product for use with the AeroPress® coffee maker. 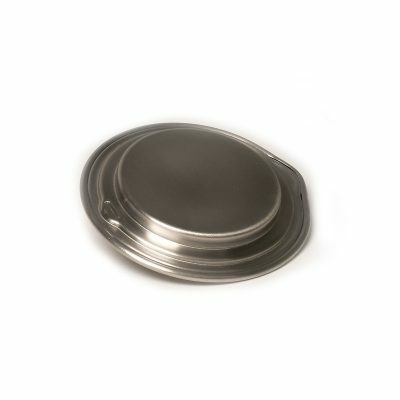 New features include a stainless steel lid, flanged top edge, and a two-level tab to secure the lid with or without the AeroPress inside. 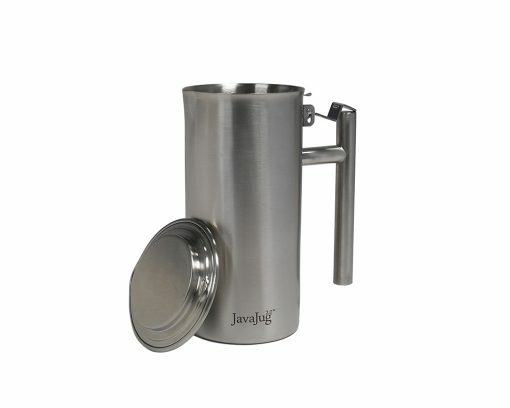 The JavaJug2 helps you press, brew, and serve coffee. It’s also designed to be a rugged storage unit for home or travel. The flip-up tab holds everything inside. 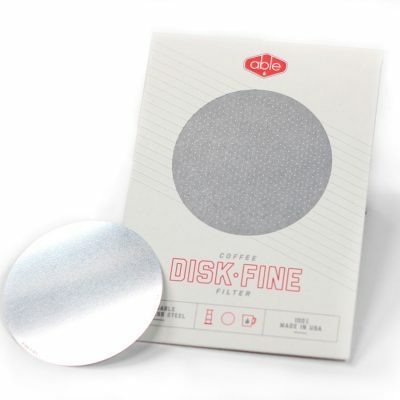 The lid will keep your coffee warm, and keep all your items inside for convenient storage. 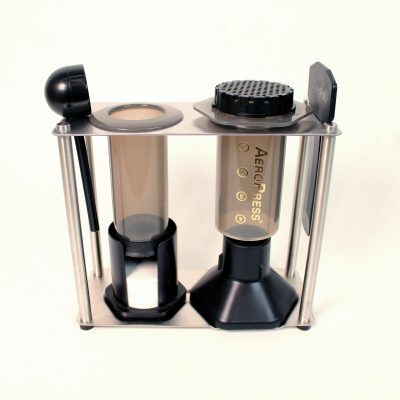 Make and serve up to four 8 ounce cups of coffee. The internal markings show you exactly how much hot water to add.